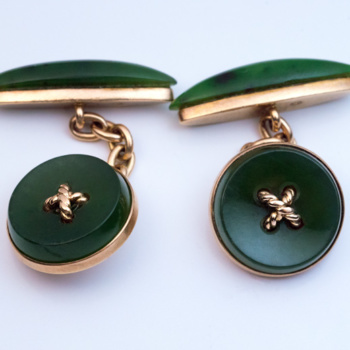 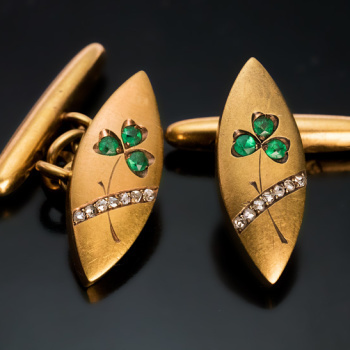 made in St.Petersburg between 1908 and 1917 by Rudolf Weide, a prominent jeweler of the period. 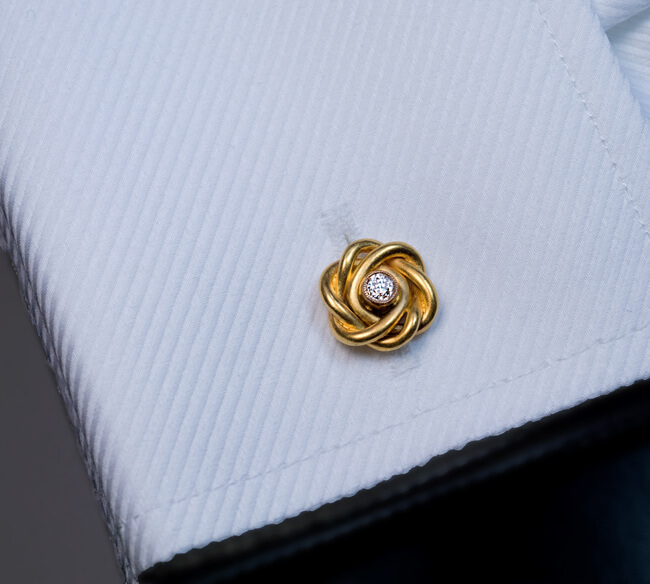 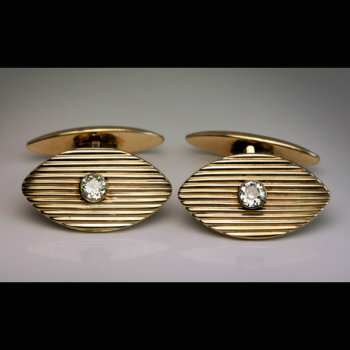 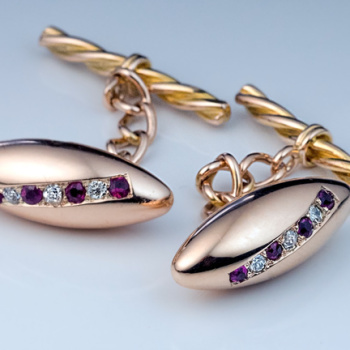 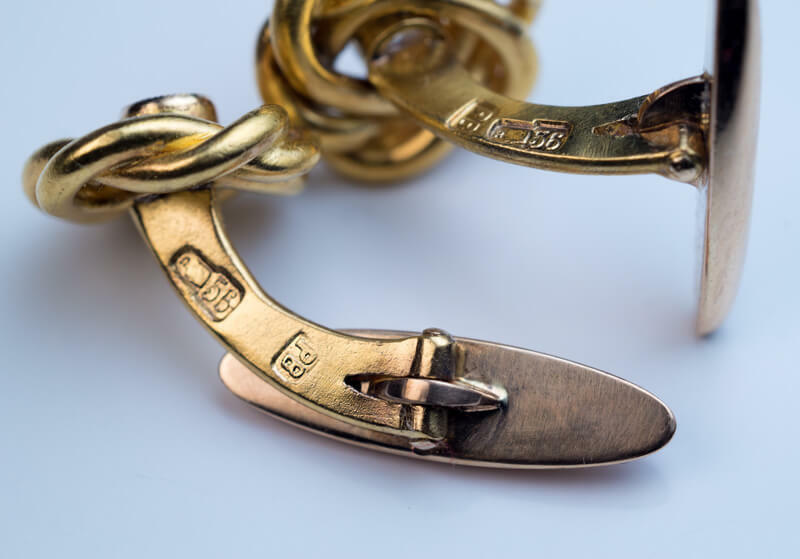 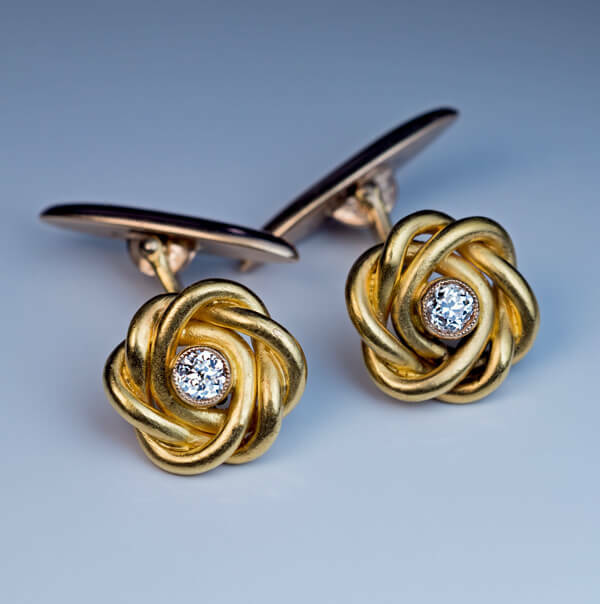 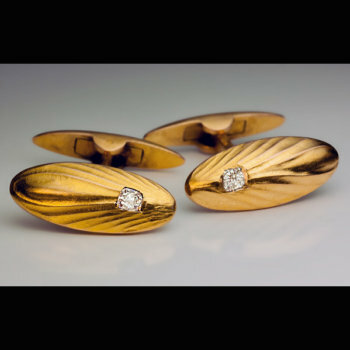 The 14K gold cufflinks of a knot design are centered with sparkling old European cut diamonds. 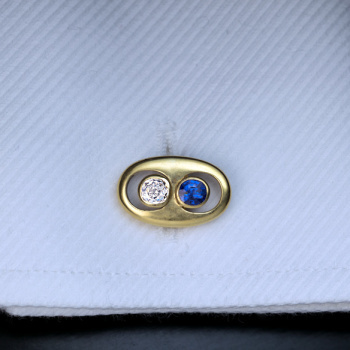 Marked with 56 zolotnik Imperial gold standard with St. Petersburg assay symbol and maker’s initials.